It was just a few weeks ago we mentioned the Milwaukee 3D Printing Meetup we were planning, and being the first meeting, we weren’t quite sure how it would go. 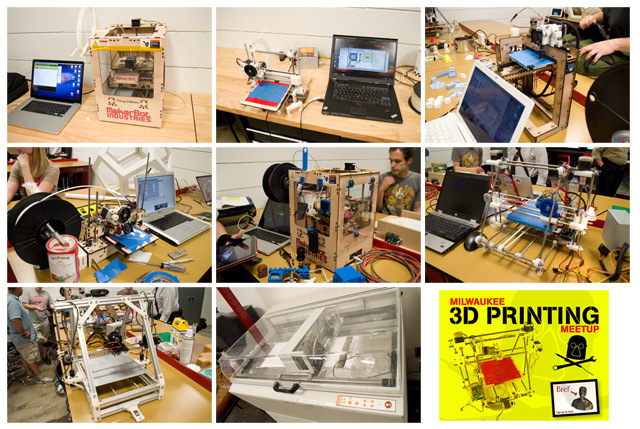 Luckily, we’ve seen over the last few months that more and more members have built (or are building) their own printers, and we’ve got some “friends of the Makerspace” in the area who have also built printers. All of that coupled with the great visit from MakerBot last week made us pretty hopeful this would be a grand event. Our friend Michael didn’t bring his Stratsys FDM 1600 as he said it would need a small truck to transport it, and he likes to let it warm up for two hours. He did however bring a certain part he printed, and the quality looked amazing. I heard more than one person say that the event felt like what we’ve heard the old Homebrew Computer Club was like. 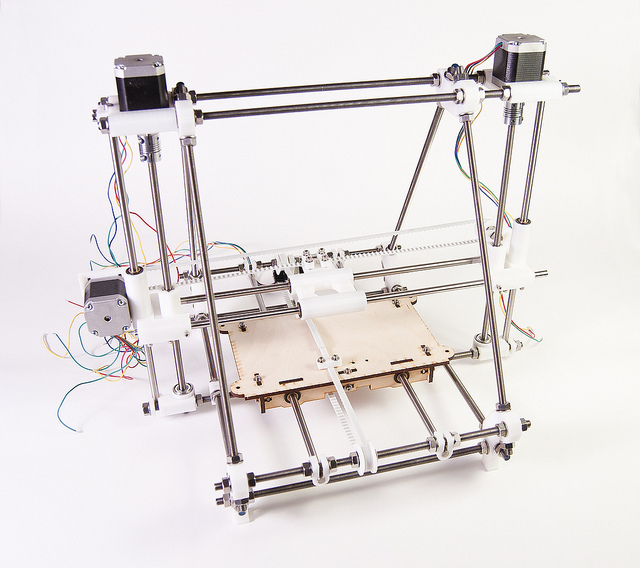 A bunch of people really excited about new technology, and willing to build it themselves. No one really has it all figured out yet, but we’re having fun trying. I’d like to give a big thanks to Frankie Flood for hosting the event at UWM. The lab they have there is like a Maker’s Playground or something… very inspiring. As for the meeting itself, it was totally informal. No slides, no presentations. We just introduced ourselves, and then we all talked and looked at all the printers, and printed some things. 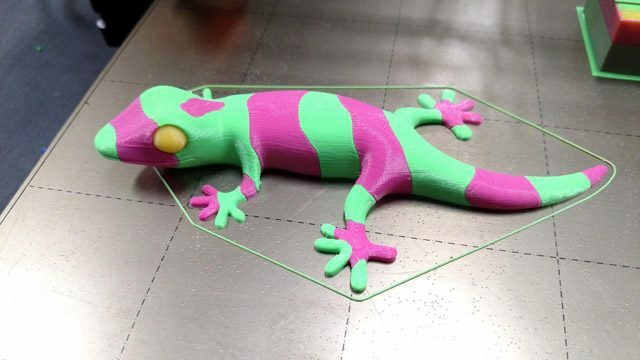 Since 3D Printers are still a fairly new thing, I think everyone who brought one was just happy to geek out about it with others who were just as enthusiastic. I’d also guess that almost everyone walked away learning a least a few tips & tricks. So will we do it again? I’m sure we will. There’s no set date or time yet, but we’ll let you know. 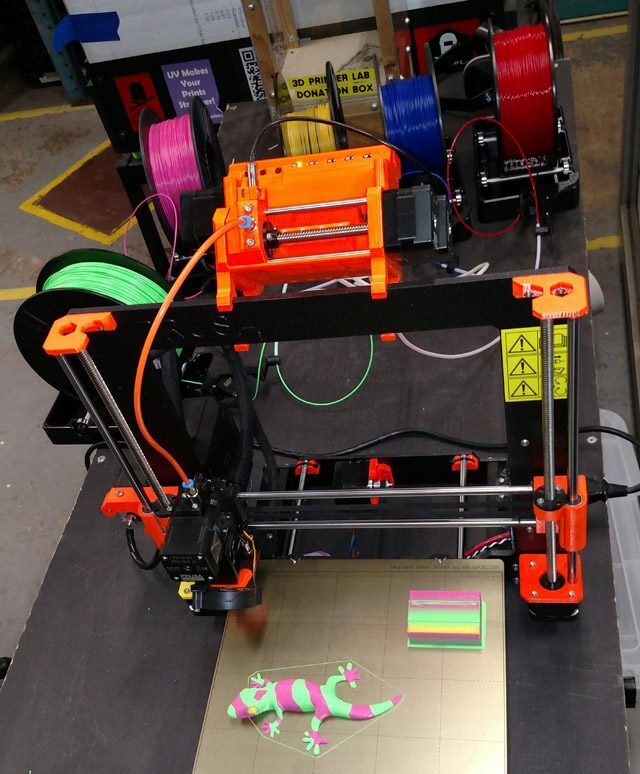 And if you missed it, I’d recommend you try to make it to Sector67 in Madison on July 21st, 2012 for 3D Printing Camp. 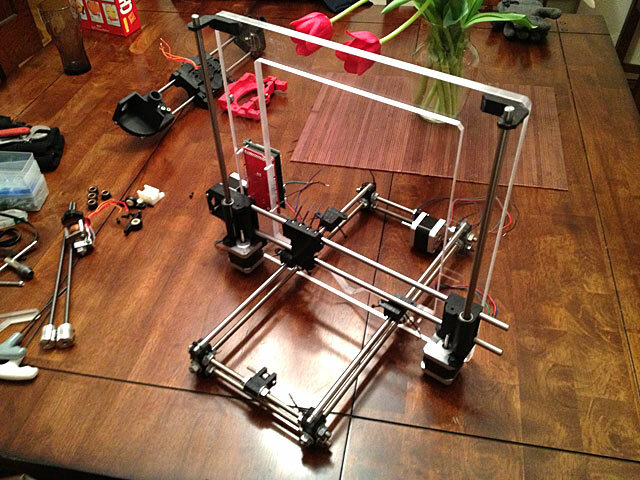 It’s not a secret, but I haven’t really posted here about here it yet: I’m building a MakerGear RepRap Prusa Mendel. I’ve still got a number of hours to put into it before it’s ready to extrude, but if you want a bunch of posts from someone who already finished theirs, and is doing all the tweaking and documenting it, check out Brazen Artifice. Lots of great posts there! Once it’s done I’ll be sure to bring it to the space for a demo.